Executive Summary: Among the best non-conventional or alternative financing options for small businesses are loans taken against the owners’ or business’s whole life insurance policies. Correctly structured, policies such as those that conform with the Bank On Yourself strategy, are tax-advantaged and readily accessible sources of the cash that every small business owner requires to survive harsh economic times. DENVER – Small business owner Terry Hauschulz recently needed a $15,000 loan so that he could pay the tab on his October 15th federal tax return. Clients of Hauschulz’s 10-year-old medical equipment repair business have been dallying when it comes to paying him. “Great receivables, no cash,” Hauschulz laments. The 55-year-old proprietor mulled asking his commercial bank to help tide him over. “You know what that would be,” he says of the iffy and laborious process of winning a loan approval these days even for those borrowers with good credit. Instead, Hauschulz, like tens of thousands of other self-reliant entrepreneurs, professionals and small business operators, looked to non-conventional finance options. The solution he selected – borrowing against his individual whole life insurance plan – allowed him to promptly receive the necessary funds without a credit check, without having to submit financial statements, without needing the approval of a loan committee and without any bureaucratic hassles. Yes, the current economic slowdown has been a travail for those who own their own businesses or are self-employed. That is even truer for those who need to borrow operating capital or funds to cover large or unexpected expenses. In 2009, 55 percent of small employers attempted to obtain credit and at least half of them failed, according to the National Federation of Independent Business, or NFIB. 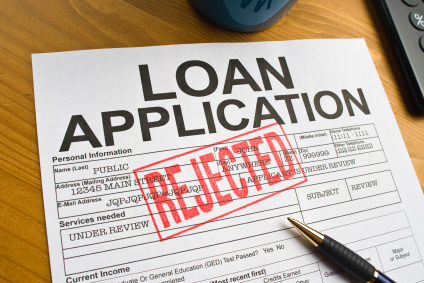 One third of those owners seeking to renew their existing lines of credit were rejected. Among the 61,148 businesses filing for bankruptcy during the 12-month period ending March 31, 2010, many simply ran empty on fiscal fuel. Complicating matters considerably has been the unprecedented one-two punch of recession and housing market collapse. Even small business owners who have braved recessions dating back to the 1970s can’t recall a time when they could not, in a pinch, borrow against their private residence to help provide cash to keep their enterprises afloat. “The net worth of residences was gold for securitizing purchases of business assets or pumping cash into a business’s operation,” notes the NFIB in a report titled Small Business Credit in a Deep Recession. Not coincidentally, about 93% of small business owners also own their own residences – roughly 25% percentage points higher than the population at large. But in the recession of 2008-09, real estate values took such a dive that the homes of many small business owners landed under-water, meaning the mortgage on the residence exceeded the value of the property. “The immediate business implication of the phenomenon for those affected was that their combined personal and business balance sheets contained a liability that formerly was an asset,” wrote the NFIB. But resiliency and creativity are hallmarks of the American entrepreneur and while traditional commercial financing may have been in particularly short supply since the downturn began in 2007-08, creative solutions have not been. “The strength of small businesses is that they are adaptive, flexible, innovative and can turn at a moments notice,” observes Jovita Carranza, former deputy administrator of the U.S. Small Business Administration. When banks, credit unions, credit card issuers and other conventional lenders said “no,” artful small business owners emigrated to other sources of capital, including factoring, bartering, crowd funding, vendor financing, family loans and even pawn shops. The Great Recession – as some are now calling the most recent downturn – is rewriting the small business owners’ playbook. “I believe there are many [new] lessons to learned,” Ms. Carranza says. 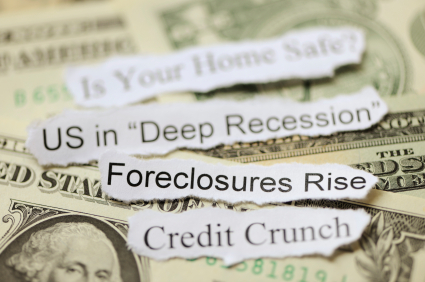 Most notably, the painful insights gleaned from the recent turmoil teach that the best time to begin preparation for the next recession is right now. Whether through acute foresight or just an extra dollop of good luck, those small business owners who best withstood the financial assaults of The Great Recession did so because of decisions they made and actions they took years earlier. By contrast, those who weren’t prepared for the economic meltdown – but merely tried to respond once it arrived – have fared the worst. 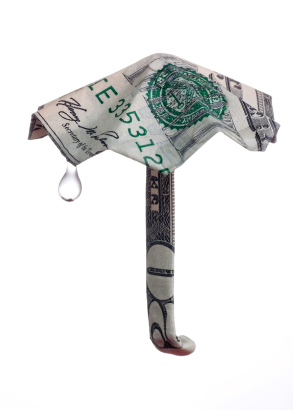 “The old adage, ‘prepare for a rainy day,’ might be THE lesson” of the 2008-09 recession, says Mike Farley, president of JacksonSpencer, a Wisconsin-based full service brand management company that works closely with entrepreneurs. When a recession does materialize, many experts agree, ready cash is the oxygen that every small business owner requires to survive. …Kathy Breitenbucher, managing partner at The Pedestal Group, a Medina, Ohio small business consultancy. Hauschulz, the Denver medical equipment repair business owner, was able to pay the Internal Revenue Service his 2010 tax bill because a few years back, looking to diversify his 401(k) portfolio, Hauschulz took out a dividend-paying whole life insurance policy. At the time, it was retirement savings – not alternative business funding – that prompted his investment. The whole life policy Hauschulz selected with the help of David Biondo, a Colorado financial services professional, conforms to the strict guidelines set for Authorized Advisors who receive specialized training in the Bank On Yourself system of safely growing capital. These policies incorporate a rider or option that significantly increases the growth of the cash value in the policies, which can have as much as forty times more cash value in the early years of the policy than traditionally designed policies. Biondo and more than 200 other Bank On Yourself accredited agents have worked closely with thousands of small business owners to buttress their savings and cash flow and facilitate reliable, low-cost alternative financing. In Hauschulz’s case, he basically lent his business $15,000 from his personal Bank On Yourself policy. 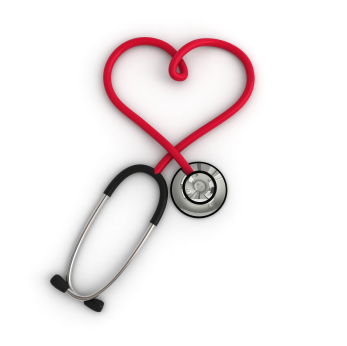 His medical equipment repair business now is set to repay him with tax-deductible interest on a schedule that he alone sets. There will be no loan officers to placate and no dunning calls should he skip a scheduled payment. Biondo and other Bank On Yourself Advisors are particularly enthusiastic about the way their policies can strategically position small business owners. While Hauschulz’s personal $15,000 is on loan to his business, interest and dividends on his Bank On Yourself whole life policy continue to accumulate as if he never withdrew a penny, thanks to a feature offered by some insurance companies, Biondo explains. In essence, Hauschulz lends out his money and keeps it working for him, too. For veterinarian Guy Ellis, 39, the Bank On Yourself method has saved his business a portion of the $36,000 in annual interest that was winding up in the coffers of banks and other commercial lenders. That savings alone provided a welcome buffer from the harsh financial winds of the recession. The Ellis household in rural Clarendon, Texas – about an hour’s drive from Amarillo – includes a stable of 3 dogs, 6 horses, 1 cat, 1 mule and 4 kids ages 13 and younger. Ellis and his wife Robin perpetually require cash – whether to purchase animal pharmaceuticals, x-ray and other diagnostic equipment, barn doors, personal and business vehicles or to set aside funds for their children’s college education. As if that weren’t overhead enough, the Ellis family, devout Christians, recently used their own funds and credit facilities to buy a nearby home that they plan to remodel for use as a non-profit pregnancy crisis center. Driving between towns in his 2006 Dodge pickup truck that has already clocked 85,000 miles, Ellis says by phone that commutes such as this are the only free time he is likely to have to discuss his financial planning and management. Fortunately, after the initial setup process, optimizing his business-financing method using whole life insurance doesn’t require a great deal of time. Not very many years back, Ellis recalls, his balance sheet was “a financial mess.” Worse, Ellis says that he and Robin were “clueless” when it came to college funding and retirement planning. Ellis was born and raised on a farm in the Texas panhandle town of Friona. He attended Texas A&M and received his veterinary degree in 1996. When the opportunity to acquire a practice opened in Clarendon, Ellis seized it. 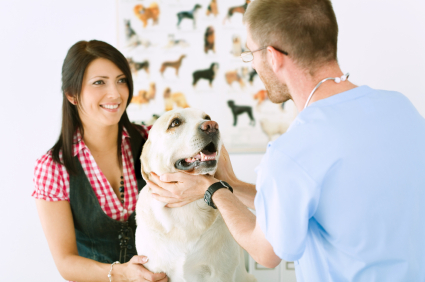 He started with an animal clinic and gradually expanded to include a supply store and kennel. The Clarendon Veterinary Hospital now consists of five fulltime and one part time employees, not counting Robin who handles the bookkeeping and the kids. One important ingredient in the Ellis family’s fiscal turnaround has been the financial advice and planning assistance he has received from his Bank On Yourself advisors, Grant Thompson and Chris Thurman, whose Amarillo-based Thompson & Thurman specializes in financial solutions for families and small businesses. As he grew more comfortable with the Bank On Yourself system, Ellis came to rely on it. He gradually pulled his funds out of the stock market – taking painful losses – and even redirected all his IRA investments to Bank On Yourself-type whole life policies, despite the 10% early withdrawal penalties. 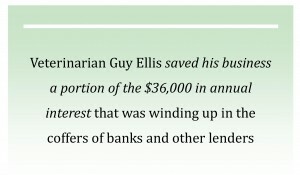 Ellis and his family currently use business profits to fund four personal Bank On Yourself policies and they are readying to purchase a fifth. When the veterinary business needs extra funds, rather than sap operating cash flow, Ellis loans money from one of the family’s policies to the business, which then repays the loan with interest. It requires a lot of discipline to be as reliable in repaying yourself as you would be a stranger, Ellis admits. But he can’t argue with the results. While the Ellis family reinvests its profits in the veterinary business and charitable projects, other business owners look to spread their profits among a variety of vehicles. “Depending upon the form of business and your tax situation, it may be better to create reserves inside the business or draw more out and build personal reserves or a combination of both,” says Kenneth C. Halkin, an Amesbury, Massachusetts consultant with more than 25 years of executive management experience. Halkin recommends those who do diversify designate a portion of any such investments to always be liquid. Sue Basiliko, a partner in a Broomfield, Colorado jobs shop that her father founded in 1967, did go in search of diversification not so much to create a rainy day fund for her business as to augment her and her husband’s retirement savings. Yet when opportunity knocked, Basiliko and her husband, Leland Barber, both 54, were able to readily access the cash value in their Bank On Yourself-type whole life policies to grab it. Basiliko’s business, Price Precision Parts, makes custom parts for aerospace, high-tech, medical and other large corporate users. Barber works alongside her, as well as runs his own small machine company. “The machine shop works for us now,” Basiliko says, but she doesn’t think it has the potential to yield the couple the $5,000 to $10,000 a month they’d like to have available when they do finally walk away from the lathes and mills. Because Barber’s first machinist job was working with oil companies, he felt comfortable with the industry and the potential for strategic investments to produce big returns. So about six years ago, Barber and Basiliko began funneling some of their machine shop profits into oil and gas well partnerships in Texas. The couple also tried the stock market. But already in 2007, Basiliko recalls, their stock portfolio “was tanking.” So she responded to a radio advertisement highlighting the guaranteed growth and tax-advantaged benefits of Bank On Yourself-type dividend-paying whole life insurance policies. Originally, Basiliko intended to use the Bank On Yourself approach strictly to produce a safe retirement fund. “I’m not a risk taker,” she explains. But her husband is more comfortable with financial uncertainty and he needed extra funds to help acquire an additional one-quarter unit in another Texas well. So the two of them borrowed against the cash value in their individual Bank On Yourself policies to facilitate the transaction. Basiliko thinks that, even in this economy, her local bank likely would have been willing to loan the couple the funds necessary to complete their latest investment diversification. But rather than having to repay the bank, with interest, on its schedule, Basiliko and Barber took advantage of their whole life policies’ provisions to let them repay themselves the borrowed funds, at their own pace, and with the promise of again being able to tap those very same funds on a potentially tax-free basis plus compound interest and dividends at retirement. Note: The references and sources used for this article, along with additional resources, are available here. 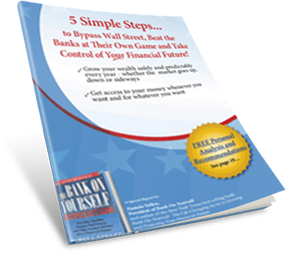 New York Times bestselling author Pamela Yellen is the originator of the life-changing Bank On Yourself system and related personal finance strategies. Pamela has worked as a consultant to successful financial advisors for more than two decades. Pulitzer Prize-nominated investigative reporter Dean Rotbart has reported on business and financial topics since 1979. His editorial and research clients include numerous Fortune 500 companies and leading communications agencies. I found out that it’s better or at least easier to do a capital contributions than to make a loan to my business. With the loan, I’d have to write a note explaining the interest rate (which is variable) and have a re-payment schedule (of course actual repayment can be flexible). My business can deduct the interest but I’d have to file the interest the business pays back to me as income. That’s a net zero effect. I’d also have to create a 1099 form and send to my business at the end of the year. With the capital contributions, I’d just have my accountant state I’m adding X amount into the business. The business can repay me whenever and I can repay the policy loan whenever, but minimum is annual interest. My accountant agrees with me that this is easier than a loan. Let me know if I misunderstood using a policy loan for business. Is this what your accountant told you? Because not all accountants understand how business loans and financing work. I routinely take policy loans to finance my business – over $500,000 worth in the last two years alone. I’m not an accountant, nor have I ever played one on TV, so I’m not qualified to advise you on this. So I’m going to refer you back to your Bank On Yourself Advisor who can either help you figure this out or put in in touch with an accountant or CPA who has a good understanding of this. So what exactly did you do? What paperwork did you file when you do your tax returns? Do you agree that I would have to file the interest my business pays me as income?